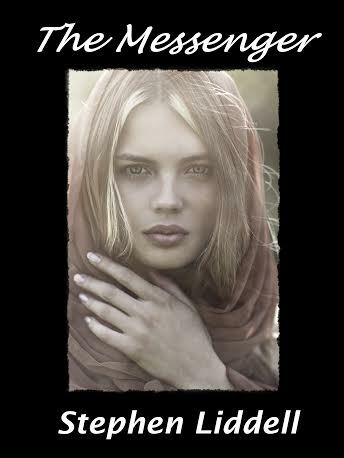 Today marks the release of the second book in my Timeless Trilogy of History-Romance novels, namely The Messenger. I’m very excited about The Messenger as with any trilogy, the second book in the series contains much of the meat of the overall story though it is a gripping read as a book in its own right. The front cover of The Messenger depicting ‘Sam’. The Messenger picks up immediately after the conclusion of The Promise with the unexpected attack on the camp that Ben has found himself by vicious Mongol like nomads. From there it is a tale of ups and downs with high adventure mixed with introspection, romance, a touch of exotic ceremonies and finally an apparently stable life. Ben is adjusting to his new life amongst the nomads of the Asian Steppe but he can never forget why he is here in the first place. He manages to persuade his Guardian Angel, Harry, to find a way to get word back to Sam that he is alive but in another time. Harry hasn’t been to London before, it’s not often that Angels get back to visit Earth and it all looks to be for nothing when Sam is being evicted from her home for being behind with her rent. What’s more she wants nothing more to do with him. Harry can’t just come out and tell her he is an Angel but Ben told him to give his letter to Sam no matter what. Time for Plan B. Just when Ben thinks he has finally made himself a family and a home that he always wanted, a face from the past returns with awful consequences. Unfortunately, nothing lasts forever and an element from Ben’s past returns to turn his world upside down in a tense, heartbreaking and at times horrific finale. Most of the main characters from The Promise are in The Messenger too but there are also quite a number of new important characters in the story. None is more important than that of Guyuk. Guyuk is the son of a vicious son of a feared nomad warrior who after an early run-in with Ben will stop at nothing to get even no matter what the costs. It’s not all doom and gloom though, there are laughs a plenty and the introduction of Mandana, the daughter of a country farm-owner who saves Bens life and wants him to spend his life with her. The Messenger contains some of my favourite moments in the whole trilogy which encapsulates life but mixes in some larger than life situations which did in fact actually happen to some poor unfortunate souls. I’ve visited many of the places in the book and studied the history for many years at Uni so if you like my blog then I hope you will find it a compelling read. To celebrate the release of The Messenger, The Promise is currently on-sale at a reduced price of $1.99 in the U.S. and £1.19 in the U.K. The Messenger is on sale in all the usual formats from all good outlets. You can see my Amazon US Store here and the UK one here but it is available in many other places too. The final book in the trilogy Forever and Until will be out in August 2014 with all the trilogy being published by KTF Press. This entry was posted in writing and tagged books, Culture, Ebook, Fiction, Goodreads, history, Kindle, Life, New book launch, Romance, The Messenger, The Promise, Timeless Trilogy, writing. Bookmark the permalink. Thrilling! I need to hurry up and finish the first one! Congratulations! May it be a best seller. Thank-you so much! I’d be very happy with a good seller though!